For those of us who are sometimes baffled by how our dogs act and what they do, animal behaviorist, trainer, and syndicated radio host Patricia McConnell reveals here that, in many ways, dogs are remarkably like us. She explains how fear, anger, and happiness underlie the lives of both people and dogs—and, most important, how understanding emotion in both species can improve the relationship between them. 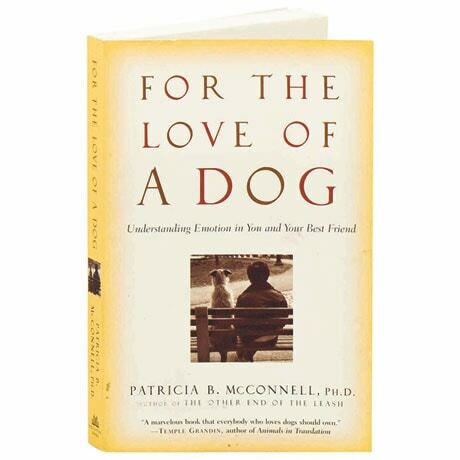 In a treasure trove of useful facts, informed speculation, and intriguing accounts of man's best friend at his worst and at his very finest, McConnell teaches both beginning and experienced dog owners how to read the more subtle expressions hidden behind fuzzy faces and floppy ears.